July 2014 | Matcor, Inc. In January 2014, above ground storage tanks (ASTs) containing the chemical 4-methylcyclohexanemethanol (MCHM) was released into Elk River in West Virginia. 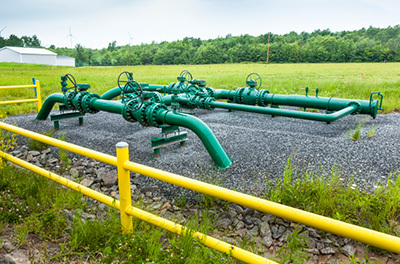 The leaks, which cursory reports believe to be the likely the result of corrosion, could have been avoided by implementing proper cathodic protection systems. The facility, operated by Freedom Industries, containing the chemical was located in Charleston, West Virginia. Recently, federal investigators discovered that the spill might have originated from more than one tank and could account for up to 10,000 gallons of MCHM. This catastrophe, which left the 300,000 residents across nine West Virginia counties without potable water, could have been avoided by taking proper precautions. The spill is currently being attributed to corrosion in the above ground storage tanks that held the MCHM. Corrosion is a serious and persistent concern for ASTs, which must withstand the elements. 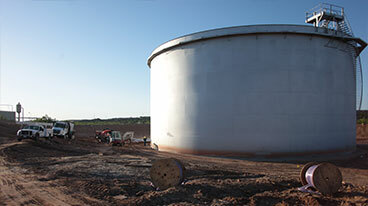 “Above ground storage tanks pose a specific set of problems when it comes to corrosion prevention. The evidence collected by several federal agencies suggests that this hazardous leak was the result of a tank bottom leak,” said Ted Huck, vice president, international sales and practice lead – plants and facilities at MATCOR. “The leak was caused by the corrosion of the tank bottom due to contact of the external tank plate with the soil. Cathodic protection systems are critical for preventing corrosion in ASTs. The soil-side hole that resulted in the released chemical is a common problem among ASTs. MATOR has developed a reliable protection system for ASTs which uses our unique SPL-Anode system and patented Kynex® technology. When building and maintaining above ground storage tanks consider the importance of cathodic protection systems. 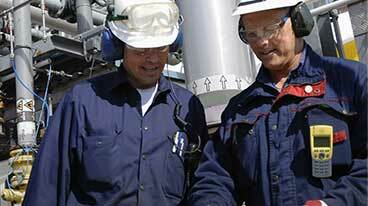 Learn more about MATCOR’s unique cathodic protection system for ASTs or contact us today. “CSB report reveals holes in more tanks at Freedom site,” Charleston Daily Mail, June 16, 2014.